On April 24 of this year, more than 1,100 people were killed as the Rana Plaza building, a garment factory, collapsed in Savar on the outskirts of Dhaka in Bangladesh. Since the disaster, more than 50 fashion labels have signed a legally-binding agreement to ensure more rigorous safety standards in the factories that supply their clothes. But the campaign for ethical fashion is going further than that. Two decades since the first sweatshop scandals broke, students across the country are getting involved in a movement for a more ethical fashion industry. Emma Waight, a human geography PhD student at the University of Southampton, is known in the blogosphere as a key figure in the ethical fashion movement in the UK. She’s organised two events at her university this year: The Ethical Fashion Workshop 2013, featuring expert speakers from across the country, and a clothes swap attracting 80 students. The aim of the swap was to inform students from all courses about ethical fashion. “It’s really important to remember that the retail industry has so many areas to it. Everyone buys clothes and students from all kinds of disciplines end up working in retail,” said Waight. Waight’s curiosity in the ethical fashion industry was sparked during her BA in fashion promotion and communciation at Southampton Solent University. “I believe that in terms of sustainable consumption, the best thing we can do is buy less. We’ve got into this culture of buying more and more items because it’s easily available, and there’s so much choice now,” she said. Charlotte Instone, who recently finished her first year of a BA in fashion buying and merchandising at the London College of Fashion, is another student keen to spread the word about ethical fashion. She read up on the movement after taking a related module during her course. Instone recently put on an ethical fashion show at her university with a programme of expert panel discussions and clothes stalls from ethical fashion labels. “I wanted to make the event a platform for everything available at the moment,” Instone said. The show raised £900 for Rehema, a charity in Tanzania training women in textile skills, as well as educating fellow students about the industry. Instone has been asked to run it again next year. The BA has seen a high number of applications, which Mooney puts down to a growing concern with where clothes are coming from and the conditions in which they are made. Speaking about the course at UCAS fairs and open days, she has been encouraged by the number of young people who were interested in the subject. Instone is also positive that the Rana Plaza disaster has encouraged engagement among her fellow students. “In terms of setting up companies at the moment with how the market is, the only way to do it is to have a really strong USP, and ethical fashion offers something different,” she said. So what are the biggest barriers to engaging the interest of other students? For Waight, it’s the cost and availability of ethical products. “Most people do shop on the high street or in familiar places, and unless you’re looking for ethical brands you don’t find them because they’re quite small brands. I think it would be really great if there were more department stores or more independent shops on the high street offering that kind of thing. I think for students, cost is also a big factor,” she said. She also thinks it would be inspirational for young people to have celebrity role models they can look up to for influence in the area. She compares ethical fashion to sustainability and the fair trade movement in the food industry, pointing towards household names such as Jamie Oliver and Hugh Fearnley-Whittingstall who champion ethical produce. “I think a lot can be learned from the food industry. People buying free range eggs has no impact on us apart from a warm fuzzy feeling inside, and that’s because celebrity chefs have really been heading those kinds of campaigns, so I think we need more of that for ethical fashion,” Waight said. Our blogs are a reflection of what we do and are related to the topics we are passionate about – Social Entrepreneurship, Sustainability, and Ethical Fashion. With a combination of interesting articles, informative statistics, and educational infograpics, we are connecting with our readers and sharing our perspective on these topics. Our readership base has and continues to grow; our blog posts were read in 105 countries in 2012 alone. – Hello to new readers who found us in Burkina Faso and Brazil! “AltoRoma AltoModa, Rome’s fashion week, may not be as glamorous or high-profile as that of Paris, New York, and Milan, but it still offers some pretty rad runway shows. AltoModa is currently in full swing and earlier today, we already saw one show that really got our attention. It was called Africa to Rome, and we loved its colorful fashions as well as its unusual mission. 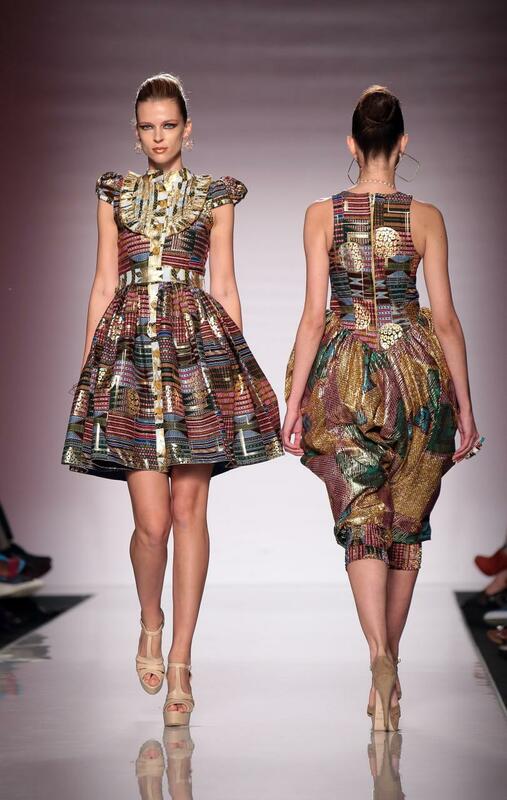 Africa to Rome is a result of a collaboration of the International Trade Center’s Ethical Fashion Initiative and Italy’s AltoRoma, and was designed to give global attention to African artisans. The Ethical Fashion Initiative is an ongoing UN mission that works to help women in Africa make their craftsmanship available to the market, and it’s an awesome, empowering way to fight poverty. The Ethical Fashion runway show featured African designer brands Christie Brown, Kiki Clothing, Portenier Roth, and Stella Jean. The clothes were all made with ethically-sourced, handwoven materials made on the continent. Oh, and they were amazing. See another ethical fashion look here: http://www.google.com/hostednews/getty/article/ALeqM5h9Mo2wQj0oJZ9G4ERt_oklaTVnMQ?docId=173104665. From the looks of it, it seems like ethical fashion and green fashion is white hot! “In the past decade there has been a noticeable increase in the number of businesses using ethical, fair trade and eco-friendly marketing strategies to promote their products. Many companies have considered using ethical strategies and branding to help boost sales or attract consumers looking for assurances that their choice of product and service providers are in line with their personal beliefs. Here are some ways to determine if ethical or eco-friendly marketing strategies are right for your business. Shopanthropic, which began as a small project by Chandak and her mother on a trip to India, has grown to be a multi-faceted business. Chandak works with corporations in creating sustainable products that can tie into their corporate responsibility initiatives, works with non-profits to build fundraising campaigns using ethically-made products and helps artisans connect with the global community by learning to use and embrace technology as part of their businesses. Choosing to be an ethical business has been a conscious decision for Chandak. “Our strategy has helped us set ourselves apart,” she says. Shopanthropic’s unique approach has created a niche and distinguished the company from other retailers in her business space. “Even if [a company] is not fully socially conscious, it’s a platform to go into your community and say ‘We support good things’,” Chandak points out. Marketers can learn from this approach and even apply it in the online space. Taking a strong and well-expressed position on ethical issues like data mining, managing users’ privacy and information and other ethical issues helps build trust with users and helps express your company’s ideals.Showing that your business uses sustainable or eco-friendly materials in its day-to-day operations or takes pride in its waste-reduction strategy also helps show your commitment to issues consumers care about. Discuss your business’s sustainability initiatives in the signature line of your emails, by displaying your LEED certification on your website, or through articles on your blog. Adopting a more sustainable model of operations can also help you save money. Eco-friendly business models like paperless offices reduce both your waste and your expenses. 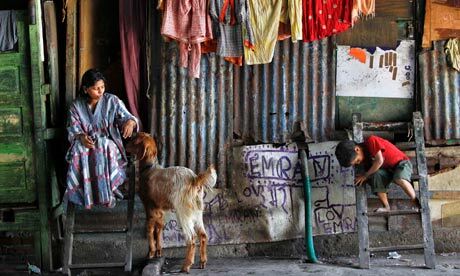 “Affordable products, such as solar-powered lamps and mobile phone chargers, are often called innovations for low-income markets. But service models – such as outsourcing companies in rural areas generating local employment – can also be high-impact innovations. So is it true? Is an industry that runs off of well-tailored garments and fine fabrics really rags and shabby morals? The hits keep coming – a recent photo shoot in a hipster lifestyle magazine had suicide-themed photo shoot, with a focus “on the demise of a set of writers whose lives we very much wish weren’t cut tragically short, especially at their own hands.” While there might be a deeper meaning behind the photo shoot, does it justify the brutal way to drape designer labels in a consumer publication? With the factor collapse in Bangladesh, the recent news of Dolce & Gabbana and their tax evasion issues , and constant issues in relation to the pressures on models to be stick-thin, can we justify premium prices on pieces of fabric that were produced for less than a tenth of the store prices? Moreover, how can we get the media to seriously think about what they publish and what social trends they create? We need to revaluate what occurs in the media and in our own daily lives. We need to consider the decisions we make, and the products we wear and use. It is this process that will enable us to bring moral fibre back into the actions of the designers, media publications and everyday consumers.